Bubby and Bean ::: Living Creatively: Small Business Love QUICKBOOKS GIVEAWAY! 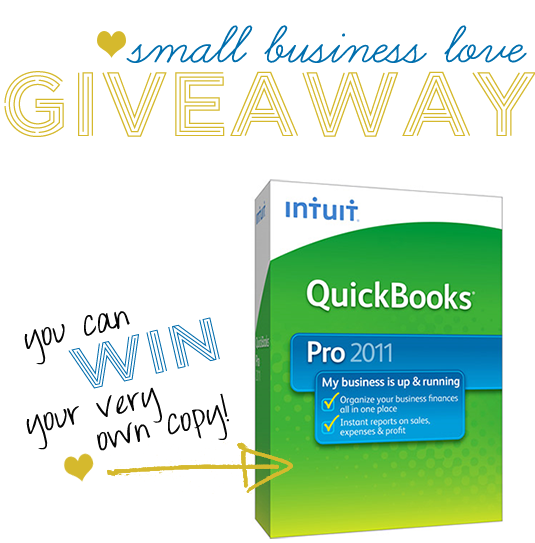 Small Business Love QUICKBOOKS GIVEAWAY! Small/independent business is a topic I mention frequently here at Bubby and Bean. 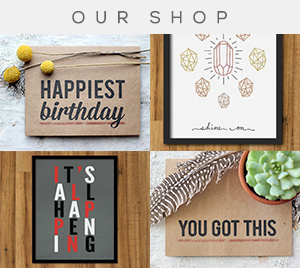 I own three indie businesses (Bubby & Bean Art, this blog, and Mountains of the Moon), and most of the goodies I feature in my design posts are made by small business owners. One thing I don't bring up all that often here is the non-artistic side of small business ownership - things like numbers, profits and bookkeeping, which are (usually) slightly less appealing to creative spirits. They're necessities though, and despite my lack of mathematical prowess, I have to admit that I actually enjoy spending a few minutes in QuickBooks everyday. As a semi-disorganized person by nature, it's refreshing to be able to open a program and see all of my numbers nice and organized in a way that makes sense. I'm able to keep on top of business spending, at a glance, I can see exactly how well the businesses are doing whenever I want. A couple of years ago, I entered a competition that Intuit, the makers of QuickBooks®, were holding for small business owners. Many thousands of us entered videos demonstrating how we'd found success in our little companies, and I ended up being one of the winners! I got a bunch of cool prizes, some of which were Intuit products, including a copy of QuickBooks Pro 2011, which has a ton of new features and has been a lifesaver for me and my number-challenged brain. Like me, many of my readers are small business owners. So I decided to offer all of you the chance to WIN YOUR VERY OWN COPY OF QUICKBOOKS® PRO 2011, a $229.95 VALUE! If you're not a small business owner, you can still utilize this fabulous financial software to keep track of your personal spending, bank accounts, and budgets. Even if you already use QuickBooks, this latest version has a bunch of really cool new features, and if you've never used this program before, it's easy as pie to set up and learn. You can organize your finances, manage your customer and employee data, print checks, pay bills, download your bank transactions, get instant financial, tax and sales reports, track inventory, and much more! Bubby & Bean - http://bit.ly/muTJV4 via @MotM_EcoFashion"
The winner's name will be randomly drawn via random.org on Tuesday, May 24th, and will be posted the following day, so make sure to check back to see if you won! Winner will receive the unique link and license key from me, via email, along with instructions to download their official copy of QuickBooks® Pro 2011, straight from Intuit! (*To be eligible to win, you must complete #1 and #2 under "How To Enter" above and still be a Bubby & Bean follower/subscriber at the time of drawing. Software is QuickBooks® Pro 2011 for Windows by Intuit, Inc.). Thank you all for being such a wonderful group of readers. Here's to small businesses everywhere! UPDATE: This Giveaway is now officially closed. Please check back on 5/25 to see if you won! What a generous giveaway! I think my favorite is the Saturday Morning Daydreams. I follow through google! oh melissa don't make me choose 1 favorite topic! i think i luv evrything u show.. follow w google & already like u on facebook. I L♥VE everything about your blog! I follow you on bloglovin... I have SO many favorite parts... Daily Inspirations, New Art, Saturday Morning Daydreams and everything Vintage! Your blog is beautiful so thank you! And thank you for this great giveaway! I follow with Google connect and love your blog--Saturday Morning Daydreams especially. Thanks for hosting this awesome giveaway! Ooops...also I follow you thru google friend/blogger dashboard. WOW!!!! This is major!! I subscribe thru google reader and my favorite topics are a tie between saturday morning daydreams, your wedding posts, and your many travels! Crossing my fingers big time for this one, i am in desperate need of bookkeeping software!! Thank you for the very generous giveaway and opportunity. Im also a fan of Bubby and Bean on Facebook. I follow Bubby and Bean on Bloglovin! I love your saturday morning daydreams! and I follow through google friend connect. I already follow you on Blog Lovin' :) It would be so awesome to have this. Will this be ok on a Mac or just for Windows? I follow on Google Reader. I enjoy getting your daily posts - they're always something creatively stimulating to think about and look at while I'm here at work doing very non-creative things! My favorite topic here at Bubby and Bean is only everything! :) But really, I love the products you feature, love the pics of Bubby, and I look forward to seeing more about your upcoming wedding. I follow via google friend connect. Instead of a topic, can I say that I just like your whole blog? I think I will. I follow through Blogger/Google Friend Connect. Jiminiy Christmas, that was supposed to be two separate commetnts. Ahem. I follow you through Blogger. This is so huge, yeah! I subscribe to this blog through Google Reader. My favorite feature is the home decor stuff, I love your "dream home" posts! Optional entry - I like Bubby and Bean on Facebook. Optional entry - I follow you on Pinterest. I haven't been a follower for too long, but I loved your post about your weekend with Bubby. It was so touching! Oh my gosh, this is so awesome! My favorite feature here is Saturday Morning Daydreams, but I think that's pretty obvious by how much I gush about it every week. :-) I am a long-time Bubby & Bean subscriber through Google Reader! Optional entry #1: I'm a fan on Facebook! 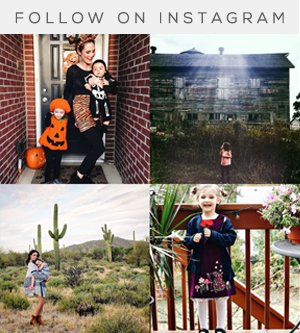 Optional entry #2: I follow Bubby & Bean on Bloglovin'!! I'm subscribed thru google reader & my favorite feature on bubby & bean is your sweet bubby posts & updates. I love dogs & have an old one of my own! Optional extra entry - I am also a fan of bubby & bean on facebook. I like the photography myself.I follow on GFC. Great prize! My favorite feature is the home decor stuff. I am a happy follower through Google Friend Connect! (My name on GFG is L. Chadow). THANKS for this awesome opportunity!! Eep! This is something I could use soooo much! Please pick me random generator! I am a loyal Bubby & Bean through GFC and I stalk you daily! My favorite features are alllll your creative inspiration posts and saturday morning daydreams! I'm also a loyal facebook fan! I follow via email subscription and google friend connect! Just "liked" it on facebook...that's the same as becoming a fan? I now follow on Bloglovin' as well! woot! I'm a GFC follower and love the eco-friendly things you come up with - especially love the wedding favors! 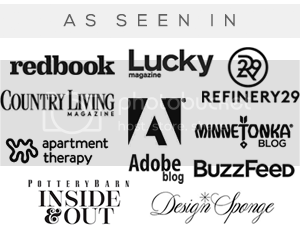 My favorite features on your site are your Project 365 postings (it's really cool to see glimpses of someone's life through photographs) and your home decor ideas. I subscribe via google reader and follow via GFC (guettel78). I love home decor features! And I follow on google reader. The only thing that stinks about it is I can't leave comments through reader so I visited your actual blog site today. Since I am leaving a comment, I wanted to wish you luck on your Bubby. We just put down our family golden retriever KC this morning. And this is not meant to be sad news, because he was diagnosed with terminal cancer ONE YEAR ago. We were so shocked, upset, and anxious last year and yet we had an entire year to shower him with love, spoil him, and appreciate all his companionship throughout his 11 years. I hope that you are also surprised by Bubby's strength. My favorite topic here is your fashion posts, you always post the most unique and artsy high fashion photos and I love your commentaries on them. I subscribe through google reader. I really enjoy looking at the pics on your site. I follow you on GFC, and i love your inspirational posts! I subscribe to Bubby & Bean through Yahoo Reader and it's the first blog I read everyday!! My favorite feature is Saturday Morning Daydreams. I follow you on Pinterest and I love your pins! Brand new follower by way of Buzz By Sunday at WynnieBee and a few clicks after that - so dizzy from blog hopping but glad I landed here. After checking out your features - I would say I'm loving creative inspirations the most. I'm inspired!!!! I have just started subscribing to your blog though MyYahoo after reading your blog for several months now. My favorite segment is Creative Kickstart -- I always get good, realistic ideas how to organize and expand my own creative endeavors. I love the look of your dream home, if only I had the time and money to create something like that. Your blog gives great creative ideas and is very inspirational. I love everything but I really love the fashion photos and inspiration. I tweeted about your giveaway and site! I started start following you on bloglovin! I really like the creative inspirations. Following on GFC. I really dig the fashion posts--particularly the vintage streetstyle! gah, had that up on my screen tabs for DAYS. nice one. I have been subscribing to this blog through bloglovin for a few months--getting tired of logging in there all the time, so added it to google reader for efficiency's sake. fan of bubby and bean on facebook! already a follower of bubby and bean on bloglovin! following your boards on pinterest! retweeted the giveaway! thanks so much for the opportunity to win such a freaking useful thing! have a great day! I like how you have your sidebar set up with the images linking to the different areas. I am a google friend. I really like the photos. Following via GFC. I am following via GFC. I love your blog, love the daily inspirations! Thanks for the chance! I love the travel section, your pictures make me forget I'm at my desk! I really like the Saturday Morning Daydreams. I subscribe with Google Reader. I follow via goole and enjoy the Saturday Morning Daydreams. I also like your travel section, because it takes me to cool places that I would otherwise "never get to." I subscribe through GFC and my favorite posts are the fashion ones and the color ones like today's! I can't believe I'm just now seeing this! I could use this SO BADLY!!! I subscribe to this blog on MyYahoo and my VERY favorite feature is Saturday Morning Daydreams. I am also a fan of Bubby and Bean on facebook! I'm also now following you on BlogLovin. THANK YOU for this awesome chance to win something I could really really use! 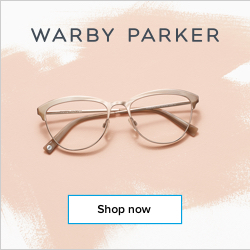 I just discovered your blog through this giveaway, and I love the images on your site. 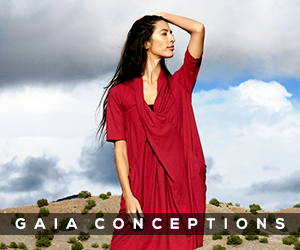 The colors, the composition -- the photos with your posts, the artwork in your shopping section. You two are truly talented people. I subscribe via Google Friend Connect. Wow! I heart all the doggie graphics! :) Im a dog lover! Now following GFC and I subscribed by email.